TAUBER Business Solutions is a BMC Technology Alliance Partner of BMC Software. NTT DATA is your Innovation Partner anywhere around the world. Headquartered in Tokyo, with business operations in more than 50 countries, we put emphasis on long-term commitment and combine global reach and local intimacy to provide premier professional services from consulting, system development to business IT outsourcing. 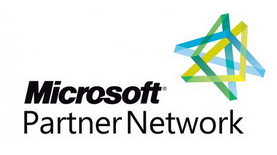 TAUBER Business Solutions is member of the Microsoft Partner Network and the Microsoft Developer Network to be able to support Microsoft Operating Systems and Microsoft Applications as a strategic platform for our solutions.